*sigh* You are lucky to have comments. I posted my DA link in the same topic, nobody commented...Sometimes I really wonder if my art isn't great. X_X" You are a great artist for me! I guess I'll be the first, but I hope you're prepared for what I'm gonna say. Well, I started to write in Word my Rayman fanfic, some months ago. The protagonists are both Rayman and Haruka, so Haruka doesn't replace completly Rayman's place. But thanks *Hug*. I also like your art as you know. Last edited by Haruka on Fri Aug 28, 2015 1:38 pm, edited 2 times in total. Thank you. ^^ I'll try to draw more. 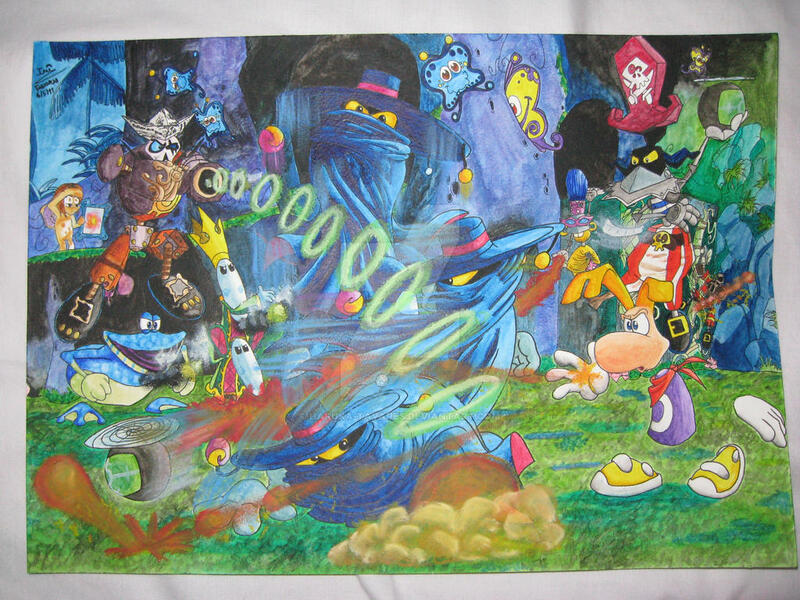 hi help to make the rayman animation, of lachimaxes story. help to get all the species in the population map topic! Last edited by Haruka on Fri Aug 28, 2015 1:29 pm, edited 1 time in total. That's a very, very awesome drawing.